Next time you take the kids out on an adventure why not take your dogs too? 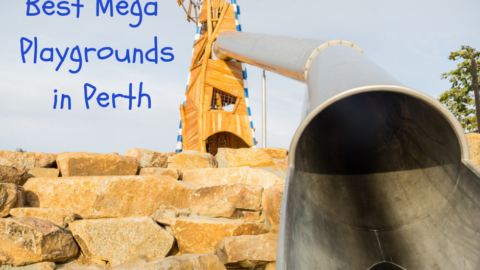 Perth has lots of dog-friendly parks, beaches and cafes to cater to your 2 and 4 legged babies! Why not try some of these ones out? 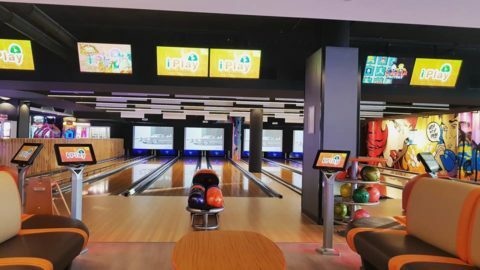 The kids will be happy with the kids playroom and bouncy castle while the pups will love the large grassed areas, obstacle course and breed specific doggy playdates! 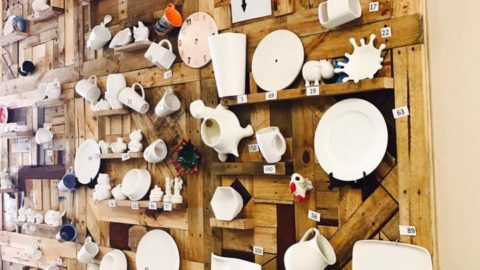 As the name suggests this plumbing themed cafe has many quirks to keep the kids entertained, including seats that look like toilets! Your furry friend can even have a Puppacino served in a tiny toilet! Whilst catering mainly for dogs, kids love to watch all the puppies playing together in the courtyard. Services include- doggy daycare, grooming, dog treats, human cafe and doggy playdates. They’re also famous for their animal Santa pic sessions! Don’t let your dog miss out on the enjoyment of having an ice-cream overlooking the marina, Union Kitchen sell “Pupsicles” made from frozen banana, peanut butter and Greek yoghurt. They may even get their picture on the dog “Wall of Fame”! 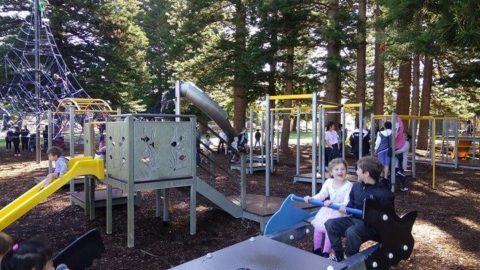 This popular spot on the coast has the ocean on one side, a huge playground for the kids across the road and a paved footpath leading behind it along the coast to give your legs a workout. 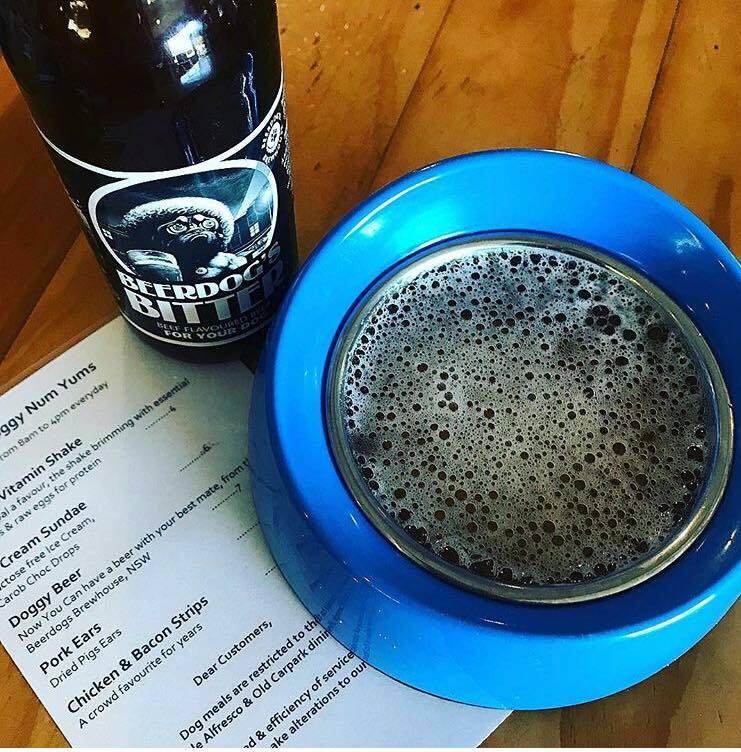 They have a kids menu, and a dog menu, even doggy beer! Located in the Moores building this cafe has a kids menu and priority is given to dogs to use the front deck. Cute vintage cafe with resident ducks to delight the kids, dogs very welcome. 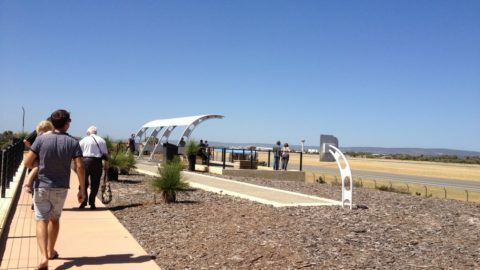 Enjoy the alfresco area with your dog and follow it up with a walk around the Canning River Regional Park. With a coastline as awesome as ours, it would be a shame for the dogs to miss out. Grab a coffee or an ice cream at a nearby cafe and hit the beach! Remember that on these beaches your dog can run free but you must carry a lead with you just in case and your dog must return to you if called. 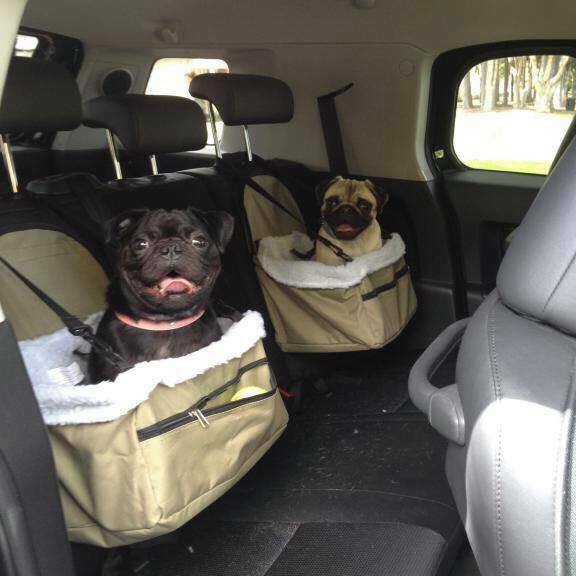 Don’t forget the doggy do bags! 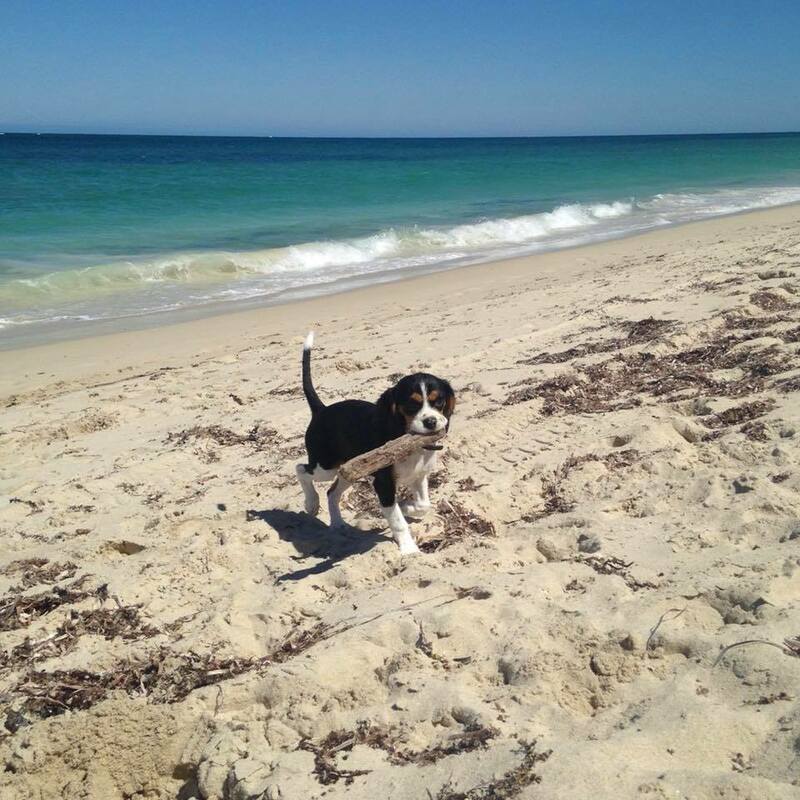 Mandurah, dogs are welcome at many beaches in Mandurah, click here for more information. If you prefer not to get wet and sandy there are some fully fenced dog parks for your pet to run around, and most are next to a kids playground so everyone is happy! 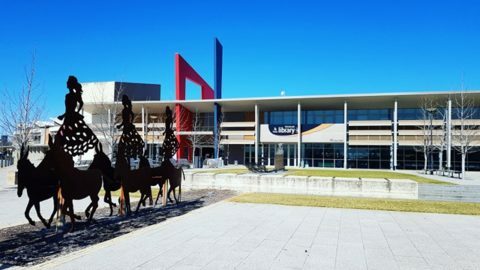 Located in the Kingsway Sporting Complex with the Dinosaur Playground nearby for the kids. Has two sections for large and small dogs and is adjacent to the new Vale Adventure Playground. Make a day of it and let the kids splash in the Water Playground! 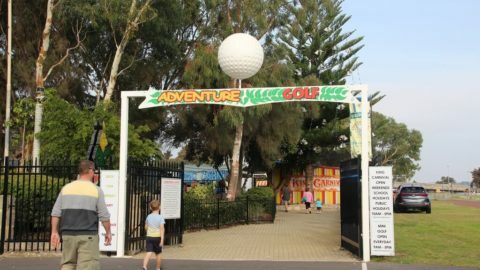 Enclosed dog area, kids playground, oval and public toilets. Also has a fenced playground. Has a fenced dog area and playground. Next to the amazing Shipwreck Park. Large park with dog area and kid’s playground. 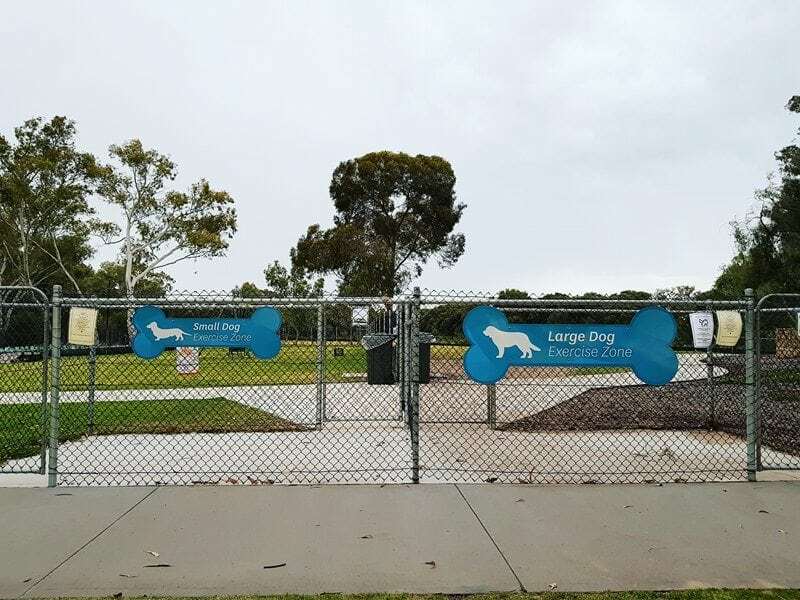 Large and small dog sections, great playground just around the corner. Piara waters Dog Park on Macadamia Loop. Busy Times are 5-7pm Mon-Fri and various times weekends.